Jollibee attracted long lines of customers when it entered the Canadian market in 2016. It currently has two locations in Winnipeg and one in Scarborough, Ont. Filipino fast-food giant Jollibee plans to open 100 stores in Canada within the next five years — and Vancouver is being explored as a possible new market. 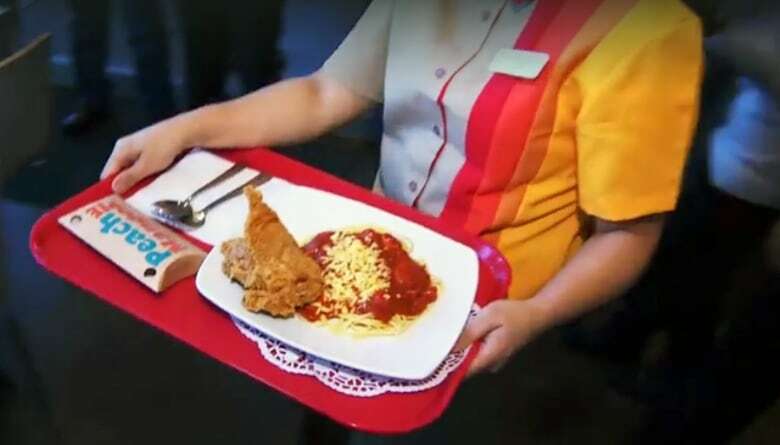 The company — which specializes in fried chicken and sweet Filipino spaghetti — says the country is a key growth market and a big part of its North American expansion plans. 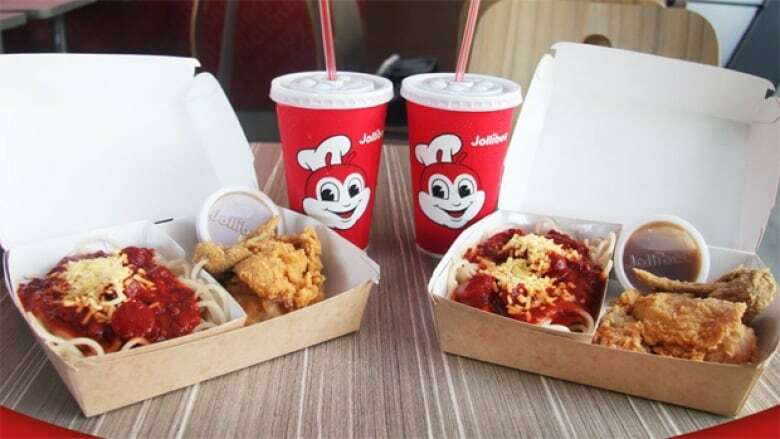 "This is basically the taste of home," said Vancouver-based Filipino food writer Fernando Medrano about Jollibee's menu, which includes spaghetti in a sweet sauce, crispy chicken, burgers, peach mango pies and the shaved-ice dessert called halo-halo. "There will be lineups out the door, definitely for weeks on end," he added, referring to Canada's growing Filipino population. "It's a Filipino mashup of McDonalds, KFC and Panda Express — it's really kind of our character of fast food." Medrano says the Vancouver market has pent-up demand for chain-style Filipino restaurants. In 2012, the first Max's — a Filipino-style chicken restaurant — opened in Vancouver and was met with long lineups. "I think people are quite ready for another one of these chains to come here," said Medrano. "Jollybee is the perfect fit because it's the most popular chain in the Philippines. It's like McDonald's for Americans and Canadians." Jollibee's current plan is to expand further in Ontario, but it's also exploring stores in Edmonton, Calgary and Vancouver. Medrano thinks Vancouverites are likely to be just as excited if a branch opens on the West Coast. For the 80,000 or so Filipinos who live in the Lower Mainland, the restaurant will help satisfy a craving from home, Medrano said. For anyone who hasn't yet tried Filipino food, the novelty factor could draw in those curious about the cuisine, he added. "Filipino food has always been in the back, trying to simmer up to the front, it's always [been] in break out mode it seems for the last number of years," he said. "It's a growing market I think."